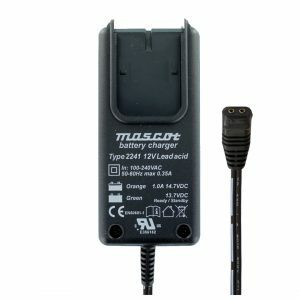 The Mascot 3245 is a 12V 7A Lead Acid smart charger which is suitable for use with all types of lead acid. This includes GEL, AGM, WET & SLA batteries. 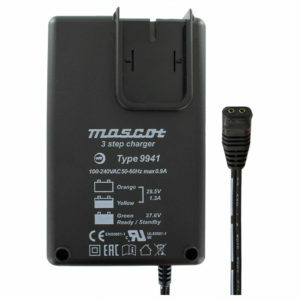 The 3245 features a 5 step charging control which is monitored by a microprocessor. 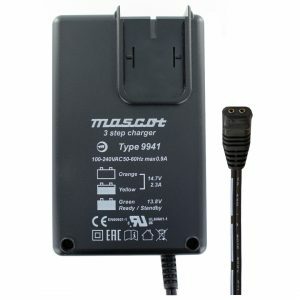 It has selection modes for battery size, type, reconditioning or to use as power supply. An external temperature sensor enables a temperature compensated charge voltage. A truly smart charger. There are several security features including reverse polarity protection, as well as boasting that it is short circuit proof. Comes packaged in a practical briefcase for storage and easy transportation. Includes a handy small LED torch.